As I have taught my boys over the years, I have come to learn the importance of making learning fun and inspiring. Learning should be exciting for your children and leave them wanting more. 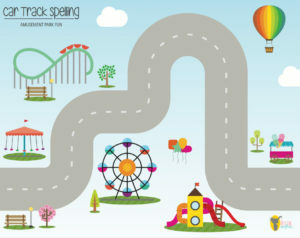 I had these Learning Activity Printables created for you to help spark some fun in your child’s learning. When I first started homeschooling I was completely clueless on how to teach my children. Isn’t that ironic? As their mother I felt completely inadequate. I honestly had no idea how to teach them and relied on curriculums written by other people to help me. Since then I have learned so much in regards to providing a fun learning environment for my boys. I am nowhere near perfect, but I am grateful for the little moments of inspiration I get to help my boys learn and have fun at the same time. These Learning Activity Printables are one of those inspirations. I used to draw my own track each time we did this, and then decided to have one created that I could reuse. My younger boys love to use these Learning Activity Printables. 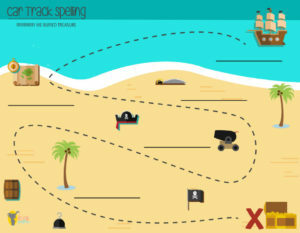 The great thing about these Learning Activity Printables is that they are so versatile! They can be used in many different ways which is fantastic. 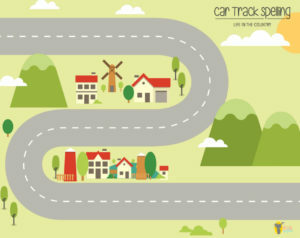 Print out the Car track writing printables and have them laminated OR slip into a sleeve protector. One thing my kids would bring home from public school was the spelling list. This printable is perfect for that. Here are the steps I would use for my kids with words they are working on. For homeschool we read lots! I read to my boys and my boys read to me. When they are reading to my, I write down words they are struggling with and we use 5 of those words to do this activity. 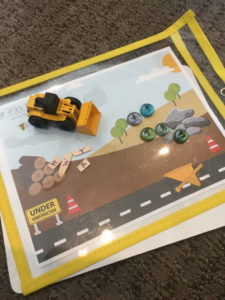 Drive their car/ship along the road using the magnet under a board or table. As they drive over the word have them spell their spelling word out loud. To take it a step further have them cover the word with their car and try spelling it without looking at the word. The more your children see a word and say it out loud, the more it will stick in their head. I like to use these printables when I’m having my kids work on reading words. I will write the words on the road/path for them. They will take their car and guide it using the magnet and read the words as they go. They will want to read them over and over again. I also like to use these to have my boys write a sentence, or copy a sentence onto. 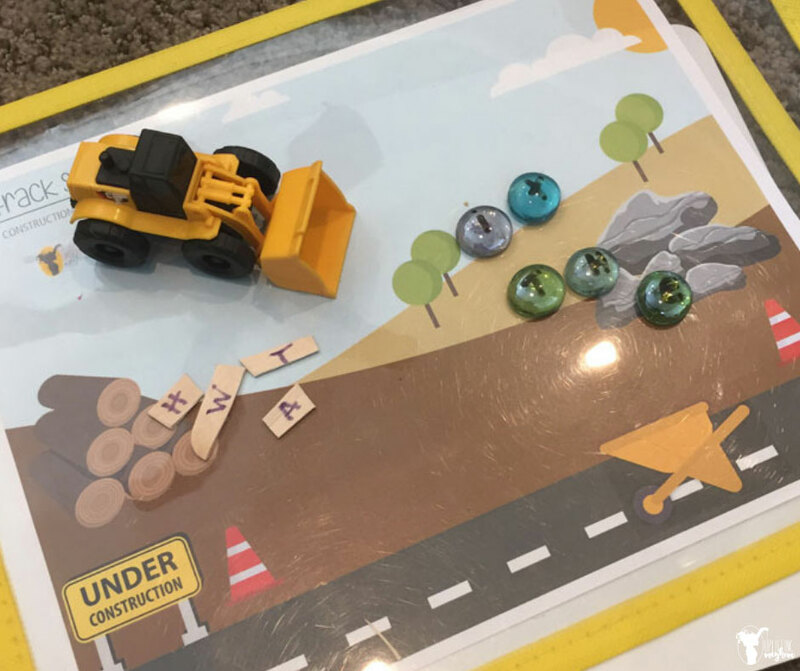 It provides a fun background and helps them with their fine motor skills as they work the turns in writing and driving their car. Popsicle sticks (Or sticks outside), Or I found these 1/2 inch cubes that would work perfect! Rocks (Scavenger hunt for little pebbles are always fun!) You can get river rocks online too. I break up popsicle sticks, and get small rocks. (This is a great activity for your kid to go outside and gather). Have your child write their words on the popsicle sticks; one letter on each piece/rock. 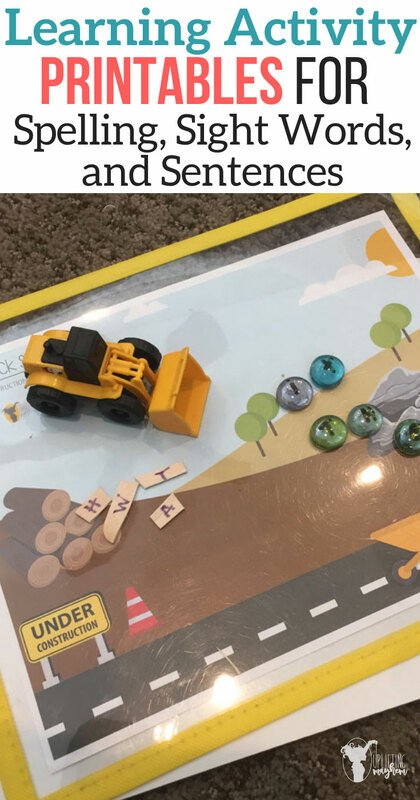 Scramble up the rocks and sticks and then use one of these fun construction trucks to move the rocks and sticks around to create their words. 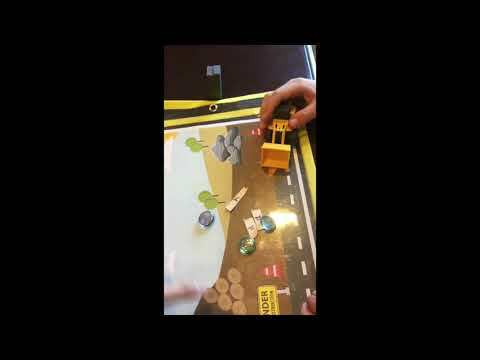 Here is a video of my son showing you how to use this printable. I hope you and your kids enjoy these learning activity printables as much as we do! Enjoy!